My intention/reason why this year is very simple. I want to enjoy the season. I made my intentions page also simple. A photo of Riker enjoying the newly lit fake tree. 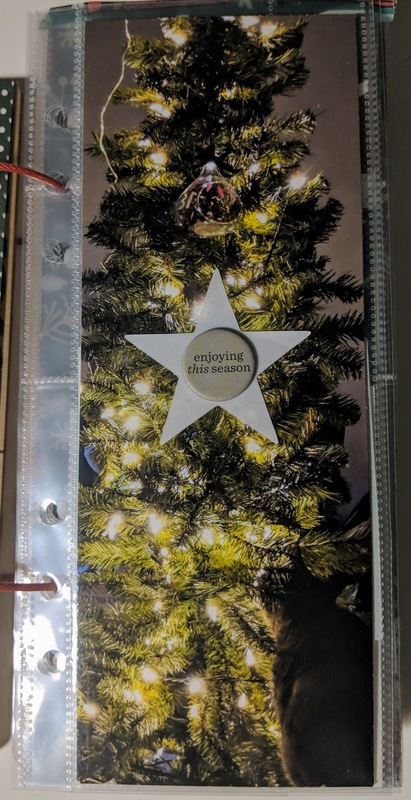 I used a plastic star from an Ali kit last year and a chipboard from this year's main kit.